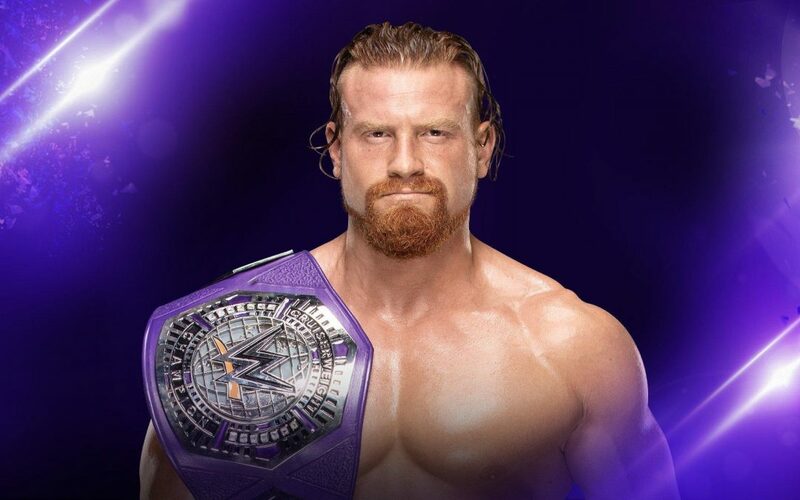 Nevertheless, tonight’s 205 Live has an air of anticipation about it, with Buddy Murphy’s non-title open challenge for a match with anyone in WWE who meets the weight requirements. Will it be an internet darling? A forgotten-about member of Raw or Smackdown Live? Let’s find out. The show starts with General Manager Drake Maverick announcing the other match for tonight. 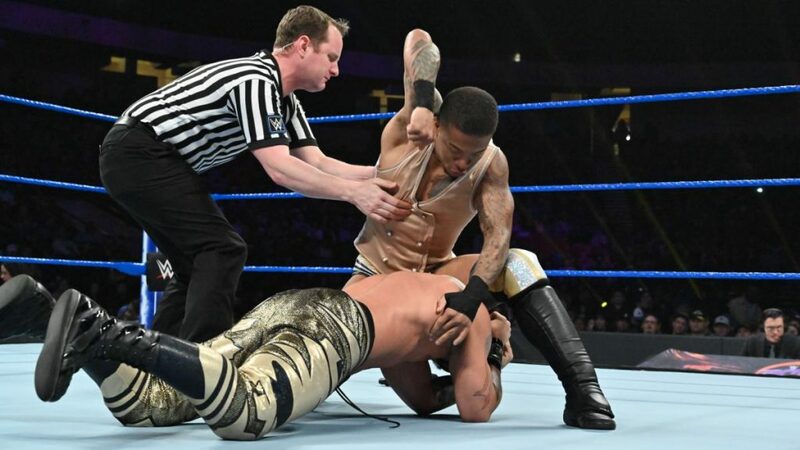 Lio Rush felt hard done by in his loss to Kalisto two weeks ago, thanks to some questionable distraction by the Lucha House Party. Rush will take on the stable’s Lince Dorado for the first time ever. Maverick goes on to discuss Murphy’s open challenge for the main event. With Nigel McGuinness working in the new UK Performance Centre in London this week, Vic Joseph and Percy Watson are at ringside to call the action. Before the Lucha House Party (LHP) music plays, Rush takes a microphone in the ring and addresses the fans. He welcomes them to “Lio 5 Live”. Very nice. He states he didn’t come to WWE to make friends, but to win. He backs this up by mentioning his partnership with newly crowned Intercontinental Champion, Bobby Lashley. Lince Dorado and friends (and Penelope the Pinata) come down the aisle. Rush demands the music to stop. Rush bemoans LHP’s strength in numbers, saying Dorado knows he can’t beat him one on one. Dorado answers by motioning for Kalisto and Gran Metalik backstage. With Dorado’s back turned, Rush sneak attacks him not long before the referee signals for the match to start. Rush comes in hard out of the gate, but if anyone can match Rush’s speed, it’s Lince Dorado. Rush is forced to run the ropes and subsequently dodges Dorado who is ready to pounce, twice over. Rush slaps a prone Dorado. Angering the Golden Pheonix, he takes charge with some offense that grants him time to climb the turnbuckle. Rush counters by throwing himself against the ropes, Dorado with an ugly spill to the outside. Rush maintains pressure with a springboard moonsault onto Dorado, then an angry smash of his face on to the commentary table lid. The Man of The Hour throws Dorado back in the ring for some pin attempts, but not enough damage has yet been done for these to have any end-result. Rush changes strategy in the form of chin-lock stomps in the corner of the ring, then a suplex. Rush is using various wrestling styles in an attempt to wear Dorado down. As has been evidenced in Rush’s matches to date, there is no set genre of wrestling that he sticks to. Aggression, first and foremost, is what he is becoming synonymous with on 205 Live. Rush shows his speed yet again to put a stop to Dorado’s agile comeback, turning him inside out with a modified crucifix bomb as an answer to Dorado’s springboard elbow. So far, with no outside distraction, Rush is focused and fearsome. Dorado does get back on the offensive, however. He sidesteps an incoming Rush and squares things up with a cross-body from the top rope. Rush crawls outside for some respite, but Dorado follows shortly after with a suicida headbutt. He takes Rush back into the ring and three consecutive top-rope moonsaults. Surely this would be enough to finish anyone off, but Rush kicks out at two, displaying a resolve that matches the must-win attitude from his earlier promo. The pace of the counters that follow between the two men speed up to the point that one mistake could prove costly. This seems to be the case for Rush as he falls victim, finally, to a springboard stunner. Dorado climbs to the top again and leg-drops the escaping Rush’s head onto the middle rope. Dorado, with a full head of steam now, charges at Rush in the corner, but Rush dodges at the last second. Dorado is sent shoulder first into the corner post. Rush smells blood now. He sets up an injured Dorado and climbs the ropes himself. One “Final Hour” frog splash later, and Lio Rush picks up a convincing win. Not happy with only his victory, and the smell of blood still strong, Rush chases the retreating Dorado up the aisle and attacks him. Kalisto and Metalik are quickly by their stablemate’s side for the save, as Rush makes his exit through the fans. Rush’s menace is proving difficult for the 205 Live roster. It is a shame he won’t be competing against Buddy Murphy for the Cruiserweight Championship at Royal Rumble. Regardless, his being a thorn in many Cruiserweights’ sides is good television in my opinion. Kayla Braxton is backstage with Noam Dar, asking the Scottish Supernova how he overcame Tony Nese last week. Before Dar can elaborate, Nese walks up and confronts Dar, stating he dominated the match. Dar retorts with a simple “But, you lost”. Nese eventually admits this, mentioning he and Dar are tied at one a piece for victories. Nothing is set in this altercation, but it looks like a rubber match between the two is in the works. Drake Maverick is talking with a referee before being approached by TJP. Maverick assumes TJP is here to accept Murphy’s open challenge but says a new superstar has that spot. Maverick praises TJP for respectfully approaching him in the hope of a match on 205 Live. The thing is, TJP never mentioned anything about wanting a match. He laughs at Maverick and walks off. Murphy is seen backstage ready to come out for his non-title open challenge. Kalisto, Akira Tozawa, and Hideo Itami have pre-recorded videos up now, all men addressing their threat in Royal Rumble’s Fatal 4 Way match against Buddy Murphy in just under two weeks’ time. As a warm up to that match, these three will wrestle each other in a triple threat encounter on next week’s 205 Live. Buddy Murphy comes out to the arena. He tells the crowd to shut their mouths; he has something to say (how charming). In two weeks, he defends his title against three of the best Cruiserweights on 205 Live. “What” chants ring out. Whether brave, indifferent or just plain stupid, Murphy tells the fans not to “What” him as he has something to say. Naturally, said chant becomes louder and more frequent. He addresses tonight’s open challenge, asking who wants to try and stop the unstoppable. That person is NXT’s Humberto Carillo, one half of a tag team with Raul Mendoza. Having seen him in limited action on NXT, Carillo is an exciting prospect. He doesn’t have huge star power in WWE at this stage, however. With that in mind, it’s up to Carillo tonight to start making a name for himself. Murphy sizes up his opponent with a wry smile as he and Carillo circle each other in the ring. Murphy wins the first point of the match with a simple takedown, proclaiming loudly after that he’s the greatest Cruiserweight of all time. He is indeed a cocky individual, but things have gone his way so often on 205 Live, it’s hard to argue with that confidence. The early portion of the match sees tests of strengths between the two; a feeling out process for Murphy as he decides on the best course of action. It quickly becomes apparent though that Carillo can match Murphy’s speed, at least. Murphy mockingly applauds Carillo. 205 Live’s new addition answers with some deep arm-drags. The action spills out to the floor as Murphy fights off Carillo’s advances. He throws Carillo backward, slamming him onto the ramp. Carillo now has Murphy’s attention. The arrogance is pushed to the side and replaced with brute force and aggression. Carillo manages to fight through the pain and fell Murphy with a hurricanrana. He fails to capitalize however as Murphy only becomes more angry, ragdolling Carillo around the outside. Murphy lands a stiff forearm onto Carillo’s jaw, the dull thud that follows sounds like bad news ahead for Carillo. Murphy seemingly looks to superplex Carillo onto the floor but, after a struggle, settles for a leg sweep instead. He advances upon Carillo on the apron, but the Latino superstar counters with a backdrop. He drags Murphy back into the ring and begins to mount his own series of offense. The champion is rocked. He kicks out of a pin attempt at two after some of Carillo’s smooth but impactful high-flying offense. Carillo looks to climb the turnbuckle again, but Murphy grabs his feet, proceeding to superkick him in the face. This doesn’t stop Carillo’s confidence. He continues to take to the skies with grace, keeping Murphy in his place. He tries for a superplex of his own, but Murphy dumps him face first onto the mat, swinging momentum his way. He sunset flips Carillo and lifts him up for a high impact powerbomb for a two-count. Both men are tired now. They are locked in a battle of who can land their suplex. During the exchange, Murphy lands awkwardly on his knee. Murphy limps around the ring but goes back to the corner, looking concerned. Murphy decides to continue, and Carillo applauds his efforts. As suspected though, Murphy has been playing possum. He lands a kick low into Carillo’s abdomen. He sets up for the Murphy’s Law, but Carillo rolls Murphy up in the process for a near fall. Carillos is incensed with Murphy’s dishonesty. He launches Murphy to the outside, both men crashing into the commentary table. Back in the ring, and he vaults off the turnbuckle. Unfortunately, his leap lands him right into a devastating high knee from Murphy. The Juggernaut of 205 locks in the Murphy’s Law, and successfully executes it this time for the one, two, three. As far as I can recall, Murphy hasn’t employed cheap tactics in order to better his chances in a match till now. This could be a sign that his opinion of himself as an unstoppable wrestle is only surface deep. If I were any of his opponents in the upcoming match at Royal Rumble, I would be looking to use this to my advantage. A decent debut for Carillo. Personally, I have enjoyed his tag team work with Mendoza more-so, but it is early days in his 205 Live career. Here’s hoping for stronger outings in the future. Check out the latest podcast of “The Ricky & Clive Wrestling Show“. Ricky & Clive return to regularly scheduled podcasting this week after a few weeks rest over the holiday period. In that time, however, there’s been no rest for the wicked in relation to WWE. Both on TV and in the news, a lot has happened since we last got together. 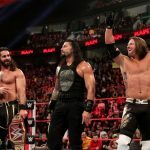 We discuss it all and see where this could take WWE in 2019. 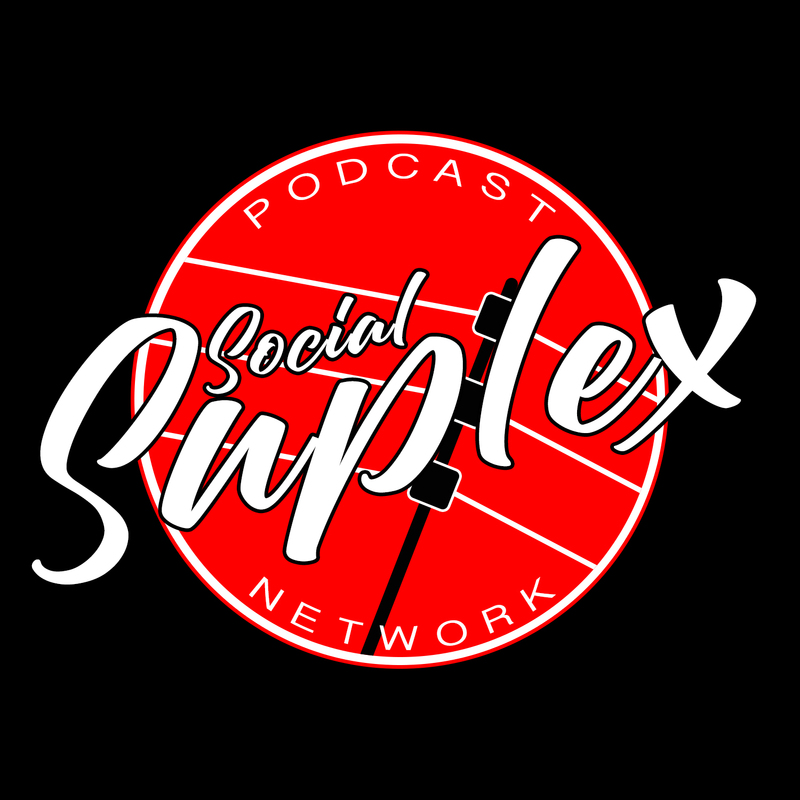 Rance Morris makes a run-in to preview NXT UK’s first ever Takeover in Blackpool this Saturday, and finish with the traditional quiz, as well as a special announcement regarding the podcast going forward!